New technology is introduced to consumers faster than most of us can keep up with. Radio-Frequency Identification (RFID) is one technology that has crept into our shopping bags, library books, wallets and even our homes without us even noticing or understanding. And it has been in use far longer than we probably realise. RFID, is a generic term for technologies that use radio waves to identify people or objects. The most common method is to store a serial number that identifies a person or object on a microchip that is attached to an antenna, called an RFID tag. The antenna enables the chip to transmit the identification information to a reader. The reader converts the radio waves reflected back from the RFID tag into digital information that can then be passed on to computers that can make use of it. The first RFID application was also one of the first covert listening devices (or ‘bugs’). It was concealed inside a carved wooden Great Seal of the United States, given and planted in the study of the US Ambassador in Moscow. A novel design of the radio bug, unknown to the Americans, allowed the operation to run without a power source connection and the device was only illuminated by intense radio signal from the outside, which also powered and activated it. The new technology gave the bug a virtually unlimited lifetime, and provided the Soviets with the best possible intelligence for more than a decade. The first commercial RFID application was developed as an anti-shoplifting system in the 1970s. Similar RFID tags were introduced into stock-farming for animal tagging, and also hospital infant bracelets, which would trigger an alarm if the infant was removed from the neonatal unit. In the 1980s when the road toll agencies of Norway and several US states decided to introduce RFID (EZ-Pass) for electronic toll collection in an effort to reduce the congestion on some of the busiest motorways caused by a conventional coin drop tollbooth, RFID technology got a massive boost. In addition to the electronic toll collection system, a vast number of new applications were introduced to the public in the decade. Speedpass, a keychain RFID device first developed by Mobil Oil in 1987 for electronic payment, was the first consumer payment system, pre-dating today’s VISA contactless payment cards. RFID technology has also been used to monitor the ripening of fruits during transportation and vending. In 1997 MIT developed a prototype of a RFID system with metal oxide sensors on board the reader to monitor the ripening of apples. An RFID system is composed of a tag and a reader. The reader generates and transmits a signal to the tag. A passive tag is powered by the reader either by near-field coupling (magnetic induction) or by far-field coupling (electromagnetic wave capture). Both of the methods can transfer enough power to a passive tag for sustaining its operation. Passive RFID devices do not require any power source. They derive power from the signal received from the reader and transmit only when they are in the field of the reader. They can communicate with a reader from a distance ranging from a few centimetres to 10 metres. These applications are less expensive, have a very long operational life, and are small enough to fit onto an adhesive label. But even at the price of £0.20 per tag, passive RFIDs are more expensive than a more traditional barcode label, which costs less than £0.01. Depending on frequencies of the radio waves, RFID devices used for information exchange use either electric fields or magnetic fields. Operational radio frequencies vary by different RFID systems. Each range of radio wave frequencies will provide its unique performance range, but also has different power requirements. Commercially, low frequency tags are cheaper than higher frequency tags, and animal tracking is the most widely used application for such tags. High-frequency bands will give higher transmission rates and range. Smart cards used in public transportation such as Oyster Cards are the most common application. Near-field communication (NFC) is a specialized subset within the family of RFID technology. Its short range connectivity uses magnetic induction to enable communication between two devices. This enables two electronic devices, one of which is usually a portable device such as a smartphone, to establish communication by bringing them within 4cm of each other. Peer-to-peer communication is a feature that sets NFC apart from typical RFID devices. An NFC device is able to act both as a reader and as a tag. This unique ability has made NFC a popular choice for contactless payment, a key driver in the decision by influential players in the mobile industry to include NFC in newer smartphones. There are now roughly 500 handsets models equipped with NFC coils available around the world. Since an inductor is necessary for magnetic field couple, NFC antennas assembled on mobile phones use as big a coil of wire as possible, and with as many wires as possible tightly wound together in an unbroken 2D plane. Within the smartphone, all NFC antennas models to date are simply flat spirals on a PCB (printed circuit board). Whether this gets hidden on top of the battery, as with newer Samsung devices, or printed on the back of the battery cover as with earlier devices, the antenna is ultimately a big square or circle with as big and dense of a coil as possible. 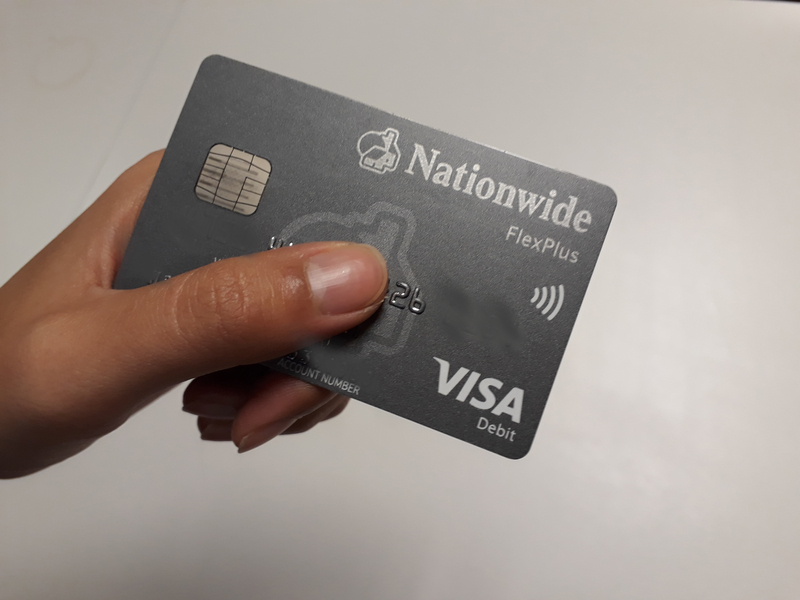 NFC has made it much easier to perform a huge range of tasks with the power of magnetic induction, which makes it likely that contactless payments may well replace the use of cash. However, like every new technology, NFC does have its drawbacks. For example, in a credit card there is a passive NFC chip which is continuously transmitting. With a special application, thieves can therefore read off personal data, although only if their portable device is within a very short range of the card. For protection, a specially coated card case can be used, or consumers can wrap the credit card in aluminium foil. Currently, there is no better solution for this. However, the very nature of NFC chip on a smart phone inherently limits the security risk that passive NFC chips have. When the handset is locked and not in use, the NFC chip is not actively sending any data until the administrator wants it to. Also, the memory capacity of the handset can significantly reduce the risk of data manipulation by secure channel transmission and encryption, which is not achievable through either traditional passive or positive RFID chips. One recent concern is with device theft. In theory, all the safety designs or encryption are rendered useless if an unauthorised person is in possession of the handset. However, most devices have final step verification, such as fingerprint scanning, that can limit the risk of unauthorised mobile NFC payments. First patented by IBM in the early 1990s, RFID has now become nearly ubiquitous and is projected to have a market value of $18.68 billion by 2026.